Rating: 4.9/5 based on 17 review(s). 9612 people have bought this item! Delivered next day and nice and sticky. Can't fault my first purchase from Sitebox. Items were as described, competitively priced and next day delivery. A painless experience using a good website - and thats all we ask for. Well done! placed order on Friday - goods delivered on Monday - what more can you ask for. Delivery first class, kept informed and updated throughout the process of delivery. Will continue to use when needed. Use to stick sheets of correx together to protect floors during plastering. Tape has done the job and has stood up pretty well thus far. Thumbs up! 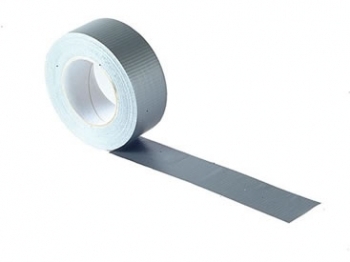 Excellent quality gaffa, we ordered a lot of black and silver rolls having had some quality issues with our previous supplier of gaffa tape. pleased to say no such quality issues with these rolls. Nothing to fault, wouldn't hesitate to buy from again. Great stickiness, far cheaper than Amazon, B&q and the like. And I'm sure quicker delivery too, the tapes arrived next morning less than 24 hours after ordering. Good value for money and even better delivery time!!!! Correx ® Protection Board 8' x 4' Mini Pack (2 . . .
Antinox ® Roll 1m x 50m Black or White/Translu . . .
See all 8 related products . . .